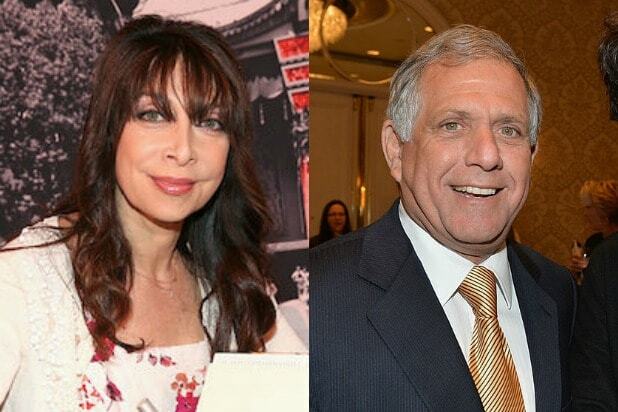 Actress Illeana Douglas shared graphic accusations of sexual misconduct against CBS Chairman Leslie Moonves on Friday in a New Yorker story by Ronan Farrow, in which six women accused him of harassment. Douglas said that during a business meeting with Moonves in 1997 surrounding the CBS series “Queens,” she was pinned down with her arms over her head while Moonves “violently” kissed her. Moonves admitted in a statement to making advances against numerous unnamed women “decades ago,” but said he’s never misused his power to hinder careers. “In a millisecond, he’s got one arm over me, pinning me,” Douglas told Farrow, who added that Moonves held her down on his office couch. While addressing script concerns at the meeting, Douglas said, Moonves changed the subject to her relationship status (Douglas had just ended a 10-year relationship with director Martin Scorsese, the New Yorker reported). After refusing him, Douglas tried to preserve Moonves’ dignity by flattering him over his kissing style, she said. As she went to exit his office, Douglas said Moonves backed her into a wall and pressed against her. “He says, ‘We’re going to keep this between you and me, right? '” she said. She agreed. Douglas said she met Moonves in 1996, as she was shopping for an overall network deal after an award-nominated turn on HBO’s “Six Feet Under.” Moonves offered her a $300,000 fee to write a TV pilot and appear in numerous CBS shows, she said, adding that the arrangement quickly dissolved. She said she lost both her representatives after she rejected the powerful executive. In rapid succession, Douglas said, her agent Patrick Whitesell (the WME co-CEO was employed by Creative Artists Agency at the time) dropped her from his roster. Whitesell had no immediate comment on the matter. Talent manager Melissa Prophet dropped Douglas as a client, as well. Prophet said a pattern of hostility led to the end of their relationship, though she could not speak to whether this so-called hostility was inspired by events with Moonves. A rep for Douglas declined to comment on Prophet’s statement about the end of their working relationship. Read Douglas’ full accusations against Moonves at The New Yorker. "I am wearing black to thank and honor all the brave whistleblowers who came forward and shared their stories of harassment and discrimination," Messing said on Sunday's Golden Globes red carpet. She added that she's "shocked to to hear E! doesn’t believe in paying their female hosts the same as their male hosts," referring to Catt Sadler's exit from the network after learning she wasn't paid as much as her male counterpart, Jason Kennedy. "Women are just as important as men," she said. The "Big Little Lies" actress said on Instagram that she is "holding our mothers and grandmothers and all brave women who taught us about Voice" by wearing black on the red carpet. On the carpet, she added, "It’s time for us to make a difference, and everyone can make a difference." Dern brought along activist Monica Ramirez, who said, "When we learned about what was happening in Hollywood, our members felt very strongly they wanted to send a message… that they are not alone... Part of our work is to fight for gender parity along all lines." The "Beauty and the Beast" star said on Twitter that she's wearing black on the red carpet "because we are grateful to the many survivors and allies who have spoken out and and forced the conversation about sexual harassment, sexual assault, and gender bias in the spotlight." Larasi, a women's activist, accompanied Emma Watson on the red carpet. "There’s something about women in Hollywood speaking out," she said of the Me Too movement. "There is a wall of silence that surrounds women and girls [who are harassed or assaulted]. We don’t want to create hierarchies.. But we’re saying women in Hollywood have [an opportunity] to amplify [the message]. It's a fantastic platform." The "Molly's Game" star said, "I wear black to stand in solidarity with my sister's and to say it's #TimesUp on this imbalance of power IN ALL INDUSTRIES " on Twitter ahead of the show. "The Post" star said, "People are aware now of a power imbalance... It's everywhere and we want to fix that." As for her character in the film, Washington Post publisher Katharine Graham, Streep said she thought she would be "heartened" by the movement sweeping Hollywood and beyond for women's rights. "She was a pioneer," Streep said. "I think she’d be over the moon." "With the women's march and now this, it really feels like a revolution is taking place. Although it's not going to solve all the problems, I'm proud to be here and to be part of it today," said the "Handmaid's Tale" star. "This is such an awesome night to celebrate women and celebrate all of us coming together and standing with each other and standing in solidarity to say 'Time is Up,'" the "Scandal" star said. "This is not a problem in Hollywood, the abuse of power happens everywhere." "We’re in solidarity about standing up for people who have been abused and have been harassed, and the industry is all staying together on this," said the tennis star, who accompanied Emma Stone on the red carpet. Before the red carpet, Metz said she told her publicist "If I can't be who I am I can't do this." On the carpet, she told Ryan Seacrest "We are all meant for something bigger better greater, but we’re not always taught that." Brie is nominated for her role in Netflix's "GLOW," but also acted alongside Meryl Streep in "The Post." She said, "Meryl Streep playing Katharine Graham was like feminism on feminism." "It’s important to me to stand with all of the women who have come forward," Brie added, wearing a black ensemble in honor of Time's Up and the #MeToo movement. She added that's she's "so in awe of that bravery" of the women who have come forward with stories of sexual harassment and assault, and said, "It’s important for me to stand with those who don’t feel like they have a voice." "I think it’s an enormous show of support tonight," said the "Divorce" star, who wore a black frock in honor of the Time's Up initiative. "This is a conversation that, as complicated as it is, it seems to be very welcome by everybody," she said to E! 's Ryan Seacrest. "I know it’s affected your network," she added in reference to Catt Sadler, who left E! after learning she earned far less than her male colleague. Parker went on to say that parity and gender equality shouldn't be overly complicated. "It’s about women in all industries, and men," she said. Eva Longoria joined Reese Witherspoon and Nicole Kidman in talking to Ryan Seacrest about the Time's Up initiative. Like Parker and Messing, Longoria called out E! for paying Catt Sadler less than her male colleague Jason Kennedy. "We support gender parity and equal pay, and we hope E! stands with that," she said to Seacrest.